Following a biking accident on icy Boston streets, grad student Zack Kashian lapses into a coma. When he wakes up on Easter months later muttering the Lord’s Prayer in the original Aramaic, the media is abuzz about the “Miracle Man.” And religious fanatics flock to his hospital bedside, even though he claims to be an atheist. Zack’s revival also catches the attention of Dr. Elizabeth Luria who heads up a small team of neuroscientists secretly researching near-death experiences (NDE). 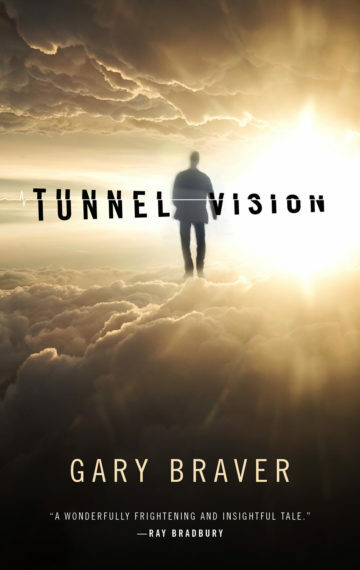 Their objective: to determine if there is anything to the claims of NDE victims floating down tunnels into the celestial light and meeting spiritual beings. Is all that evidence of the afterlife, or just neurobiology as Sarah Wyman, one of Luria’s young researchers suspects? For personal reasons, Luria is desperate to prove the afterlife exists. So are her wealthy evangelist backers who can’t wait to announce to the world the greatest discovery in human history: that God exists. A discovery that would at last reconcile science and religion. A discovery that would end the world’s religious strife and unite all humanity. Yet Zack’s experiences are anything but heavenly. And while he and Sarah struggle to understand his horrific out-of-body experiences, they have no idea that sinister forces have also taken interest in them. Forces to whom near-death experiences are utter blasphemy–deceptions by Satan himself. And they enlist a menacing agent who in the name of God will stop at nothing to terminate the project and all involved.